Suitable for adults & teens. 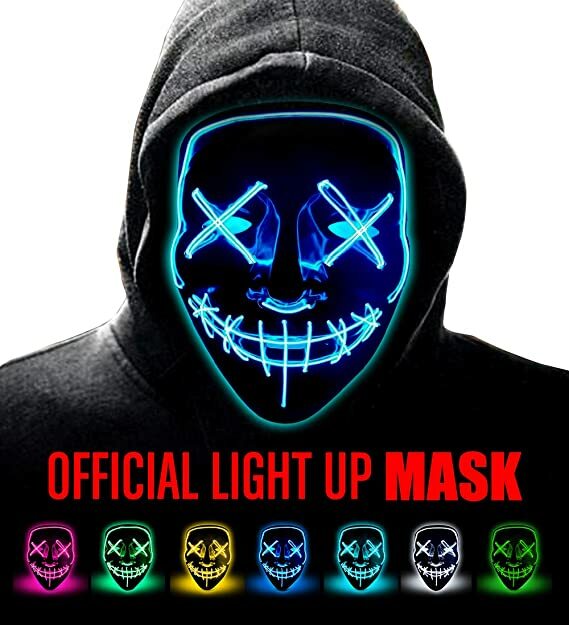 Perfect to recreate the statue of liberty costume, the Light-Up Purge Mardi Gras Mask lights up with different modes for flashing and constant light up. Great for Halloween, Costume Parties, Masquerades, Mardi Gras, Rave Festivals, Carnivals, Gifts, and more. Clip the power pack to your pocket or onto your clothing.